How can participants at conferences best ensure that what they learn lives on and spreads? The chat involved people with a large variety of experience regarding conferences, ranging from none at all to serial presenters, as well as conference organisers. It fell nicely into various categories, making summary writing nice and easy! @TyKendall: “He who dares to teach must never cease to learn” John Cotton Dana. Coordinate with your colleagues to attend different sessions, then share experiences, insights, handouts etc afterwards. Decide whether you want to go to practical sessions, theoretical ones or a mix of both. Take a chance on some less well-known presenters – that’s how they become well-known. Also, they are often in the classroom more regularly so can be more relevant. Prioritise! Try not to get overwhelmed. Try alternative visual aids: flipcharts are still in! Let participants talk so they don’t get restless. Don’t be afraid of using technology. Try to make a connection with the audience: engage. Upbeat, but not too up! Don’t read aloud from your Powerpoint. Chat to some of your audience after you’ve finished to get feedback and learn from them too. Good for shy people too. Give a workshop at the conferences you attend. 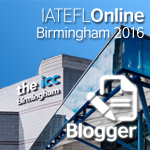 Try to go to the conference with other teachers and chat about what you have seen. Try to talk to the presenter and other participants to keep it in your memory. 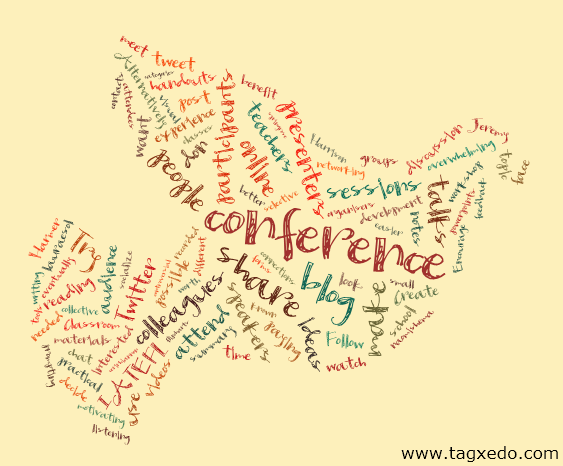 Use Twitter to share your thoughts – those who cannot normally attend conferences are especially grateful for this. You can also use it as a form of note-taking. Consider asking the speaker beforehand and / or only tweeting during Tweeter’s talks. Take a look at the debate on Jeremy Harmer’s blog about whether or not you should tweet. Follow Twitter hashtags during a conference: you might notice something you’ve missed / OR Don’t follow them, you might miss something! Blog about what you saw, thus prompting further discussion of topics. Conferences even prompted some to start blogging for the first time. Even if you don’t want to blog about the conference, you can make comments on other people’s posts. Type the notes you take, then categorise them into files on your computer, making them easy to retrieve when needed. This also makes it easier to email them to people if you want to share them. Go back to your notes a while later and remind yourself of what you’ve read. Try things out in class as soon as possible so that you don’t forget them. Keep a teaching diary (which could be a blog) to use for post-conference reflections. 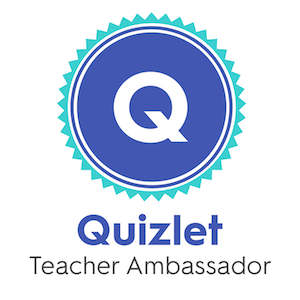 Watch any post-conference videos and share them with colleagues. Follow up on any recommended reading. Follow up on contacts to consolidate connections made. This may lead to forms of cooperation in the future. Set aside a quiet hour to go through what documentaton you have and think through what you got out of the conference. Look at your notes on the way home and decide which ideas to apply next. Not all ideas may be practical for your classes – be selective. Introduce Twitter and other sharing tools to your colleagues to help them become more digitally aware and to be able to participate in the post-conference sharing. Make a list of seminar participants and their contact details and email them to each other. Ask speakers if they mind being filmed / recorded. Stream sessions online, as ISTEK did. Alternatively, release them online for people to watch (months) later. Provide wifi for attendees to share their impressions. Share materials online. For example, the IH Brno Conference (a one-day one at my school) created a group on Edmodo and gave attendees the code so that they could get any handouts they wanted. Alternatively, put slides online using a tool like Slideshare, a wiki or a blog. Put out a newsletter after the conference with summaries of lectures a couple of months later. Create an informal ‘buddy’ system with your PLN to give feedback on each other’s talks at a conference. 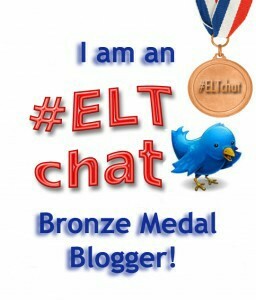 Encourage teachers to give a workshop / CPD session to share what they learnt. Small groups could prepare a demonstration about a topic if a few of them saw the same talks. Ask colleagues to choose ONE topic which deeply affected them each time: demanding to share everything could be too overwhelming. 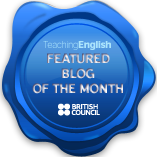 Keep a collective training blog for teachers. Create a wiki with colleagues and link powerpoints or videos plus start a discussion. Record speakers, then create worksheets based on the sessions – have a bank of talks and tasks. Have a staff email list dedicated to post conference sharing. Sponsoring teachers to go to conferences could really boost staff morale. Encourage a culture of sharing in general – this makes it easier for teachers to share after conferences. Other people in the staffroom are not interested in the conferences you attend. Keep sharing – your enthusiasm will hopefully get through to your colleagues eventually! You could also try to spend more time with people who ARE responsive. Teacher development is a mindset. Some conferences are very expensive to attend. Try to access the materials in other ways, through videos, Twitter, blogs etc. Sometimes it’s better to bite the bullet – conferences offer you many benefits. If you’re paying for it, go for what you’re interested in. Your teacher development comes first. Speakers often have to pay to present. Some people were annoyed about this, but others said that they are presenting for 45 minutes and watching 1-3 days of sessions, so are happy to pay. Dave Dodgson blogged about speakers paying to attend conferences too. Tweeting during conferences (Jeremy Harmer’s blog discussion) could be bad for the presenter. Also, some people complained about the lack of context. Many people would still go to see a talk even if they had seen it tweeted. Use Twitter to get some of the socialising / networking side. It’s also better to watch online than not take part at all! Online conferences can also make people more willing to participate. Be selective: just a handful of ideas can make a big difference . This is brilliant! Thanks, wish I could have joined this conversation. Conferences are a huge part of my life. Busy preparing for the new school year now but will tweet this and comment much more in the near future. Cheers! Thanks for your comment. I’m glad it helped you. I look forward to your comments. Is it common for teachers to pay out of their own pockets to attend and/or present at conferences? 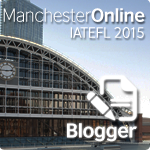 IATEFL will be my first experience and when I look at the collected cost of the plane ticket, other transportation and fees plus accomodation I doubt I would ever be willing/able to pay that much for PD myself. I can only go because someone else is paying. I think unfortunately it depends on the context and the conference. For example, my school will help with money towards one-day conferences, but a big conference like IATEFL would be beyond their means. Next year, when I hope to be teaching in England, I would be willing to pay to go myself because I know it would benefit me hugely. Other people are free to add their opinions! I agree with Sandy. It all depends on the context. It’s not just a case of what, if anything your school will contribute. I also depends on where you want to go professionally. I think my experience is a pretty good example of the situation for foreign teachers in Japan. When I started I worked for a language school. Any “professional development” offered to me by my school was internal, and almost all of it came within the first 3 months. After that it was just an observation by the trainer and a chat after that. Fortunately, however, I came across an advertisement for a local Japan Association for Language Teaching (JALT) chapter meeting. The price was affordable – about the same as a pint, so I went with a colleague from my school. Well, I enjoyed the meeting and eventually I joined JALT. That cost about 10 pints. I payed, and I payed for any real professional development I got after that: conferences, books, journals, and so on. The internet was just starting out, so I had no access to online communities and free academic articles. I realised that I wanted to become a proper teacher with a good secure job and the best way to do that was to get work at a university. To do that I needed a Masters and publications. 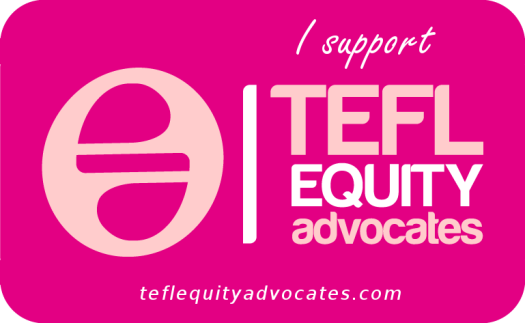 So, I got on the M.Ed TESOL programme at Temple University’s Japan campus. It wasn’t until almost 5 years after I started this process that I got an employer to pay for me to attend a conference. When I got a full time job at a high school, the high school paid for me to attend a conference once in 4 years, but I still attended many conferences in Japan, and one conference in Beijing – all on my own dime. When I finally got full-time work at a university I got an allowance for conferences. My conference allowance pays for one overseas conference. I pay for almost all the conferences that I attend in Japan. I have to. I have to publish and present and that means I have to attend conferences. I attend at least 4 or 5 conferences every year. Most every university teacher I know has done the same, and I know some dedicated teachers at every other level who do it as well. Of course, most people who attend the conference are university teachers, because others can’t afford it. One thing about the JALT conference that is at least a little attractive for primary and secondary teachers is that it is recognised by the Japanese Ministry of Education – so it counts toward fulfilling professional development requirements. Well, sorry for the long post. Hope what I’ve written has added some light to the subject. Cheers! Thanks for such a brilliant insight into where conferences can take you. I agree that professional development ultimately has to be your own choice, and while it would great if employers paid for it all, in the real world it’s not normally feasible. Until we get paid footballers’ wages, it’s probably going to stay this way! I love presenting and attending talks at conferences and meeting people f-t-f but I am aware that I am in a privileged situation and that not everyone can get to such events. This was one of the reasons why I set up TESOLacademic.org where you can watch keynote talks from some of the big hitters in TESOL such as David Nunan, Keith Johnson, Anne Burns or Paul Nation to name but a few, all from the comfort of your own home. Not as good as a conference I grant you, but certainly better than nothing! Thanks for sharing the site. It looks interesting and I’ll recommend it to my colleagues.